Are Your Sheep Consuming Enough Calcium? Most forages and a good quality mineral mix meet nutritional requirements of mature ewes. But, ewes will need additional mineral supplements, particularly during the last third of gestation. The only way to truly evaluate a mineral program is to start with testing forages and other feeds consumed by the sheep. Assess nutrient levels using wet chemistry analysis rather than near-infrared (NIR). Not only do you need to evaluate mineral levels in feed rations, but you should also compare ratios of some nutrients. Calcium levels become particularly important during late gestation. 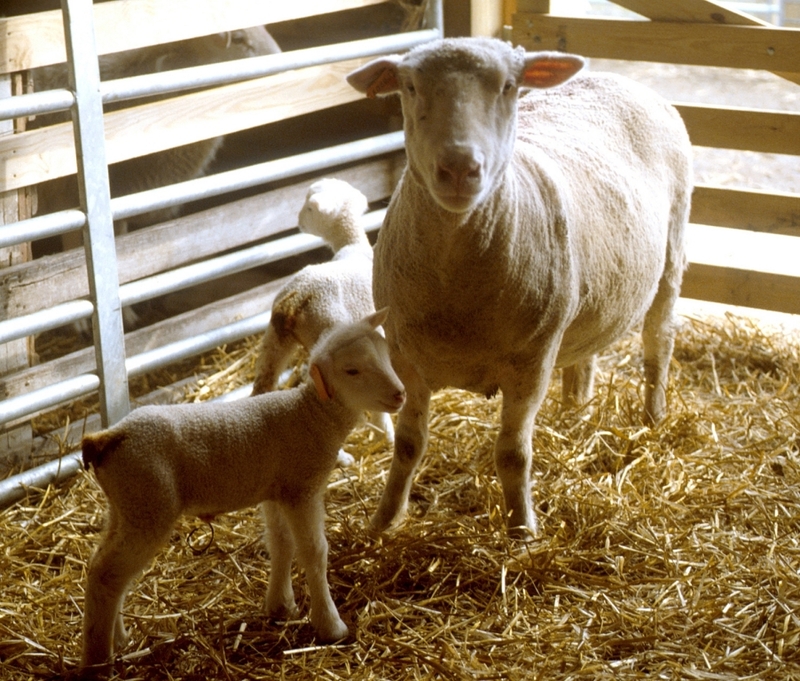 Lambs begin to grow rapidly during the last third of the pregnancy, and the ewe requires more calcium in her diet. 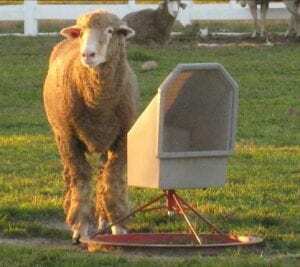 Consider a 150-pound ewe’s requirements that increase from 2.4 grams per day at maintenance levels to 6.5 grams per day in early gestation and then 8.8 grams per day in late gestation if she is carrying twins. Many forages will meet nutritional requirements of ewes at maintenance and possibly even through mid-gestation. However, rations may need closer inspection to best balance nutrients for late gestation, lactation (milk production), or for growing lambs. Legumes are much higher in calcium than grasses and could better meet calcium requirements. But, simply changing forages is not the answer to better meet nutritional requirements! Keep in mind that the sheep’s ration needs balanced with other nutrients as well as protein and energy. Another major consideration when looking at calcium is the ratio of calcium to phosphorus in the sheep’s ration. The recommended ratio of calcium to phosphorus from the Sheep Production Handbook is 2:1, with higher levels tolerable up to 7:1 if the ration contains adequate amounts of phosphorus. In the instance of a ewe carrying twins in late gestation, calcium levels that are too low can result in hypocalcemia, also called milk fever. Clinical signs include weakness, lack of appetite, muscle tremors and inability to stand. Most shepherds would consider pregnancy toxemia as the issue. However, ewes in good body condition that are consuming adequate levels of energy in their feed should not develop problems with pregnancy toxemia. So, the next consideration should be hypocalcemia. Consult your veterinarian for treatment procedures, which will likely involve administering calcium intravenously to treat the deficiency. Incorrect calcium to phosphorus ratios can also lead to urinary calculi in rams and wethers. As the calcium to phosphorus ratio approaches 1:1, the incidence of urinary calculi increases greatly. This results when mineral deposits block the urinary tract. Affected sheep have difficulty urinating and often stomp their feet or kick at their belly. This condition is sometimes called water belly because the blocked urinary tract can cause the bladder to rupture and result in death. This issue often affects feedlot lambs, but can be prevented by adding ammonium chloride at a rate of 0.5% of the total ration. The ammonium chloride acts by acidifying the urine, which helps to prevent the mineral deposits from developing. A constant supply of clean, fresh water and access to salt also helps to prevent urinary calculi. In young and rapidly growing animals, calcium works along with phosphorus and vitamin D to produce strong bones. A lamb can develop rickets from deficiencies or imbalances of any of these nutrients, although it is most often caused by phosphorus or vitamin D deficiencies. Rickets appears as swollen ends of the leg bones and lameness. Fractures often occur when lambs suffer from rickets. 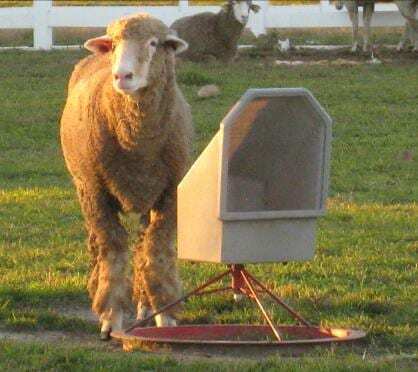 Calcium and the calcium to phosphorus ratio are critical to sheep nutrition, but calcium is just one of many minerals important to the overall health of the flock. Always consult with your local veterinarian or a nutritionist to balance rations. Properly balanced rations can result in improved growth as well as reproductive performance within the flock and lead to higher profitability. Posted by Braden Campbell at 8:00am October 2, 2018 Posted in Nutrition and tagged Management, Nutrition. Bookmark the permalink.